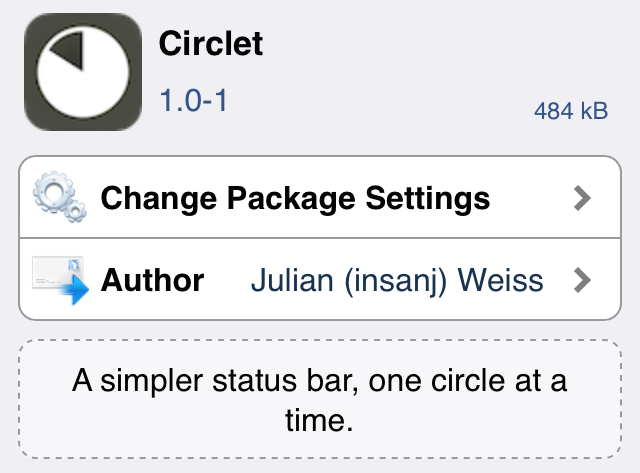 Circlet is an upcoming jailbreak tweak from prolific developer Julian Weiss. It allows you to simplify the status bar using customizable circular indicators. The great thing about Circlet is that it doesn’t rely on WinterBoard, image assets, or even a respring to pull off its customizable styles. 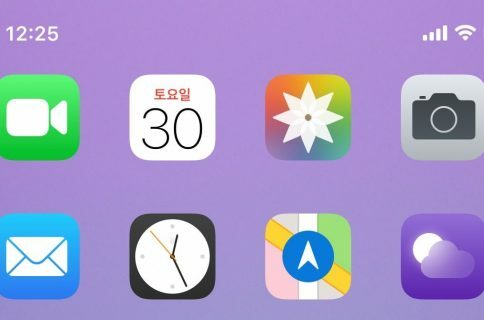 Circlet is a modern jailbreak tweak that’s easy to use and just as easy on the eyes. Take a look at our hands-on video of Circlet after the jump. 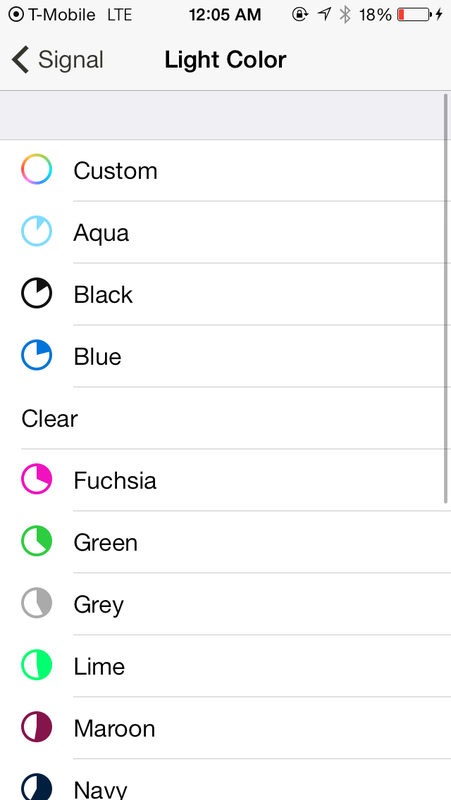 After installing Circlet, you’ll need to go to the Settings app to find the tweak’s preferences. Inside of its preferences, you’ll notice three sections that can be configured to your liking—Signal, Wifi/Data, and battery. Enabling each section will replace its stock indicator with a circle-based indicator. There are three styles to choose from and each style can be inverted to add to its variety. Along with the different styles are color and size adjustments. There are three sizes and a plethora of colors that can be used to color the dark and light side of the circle indicators. 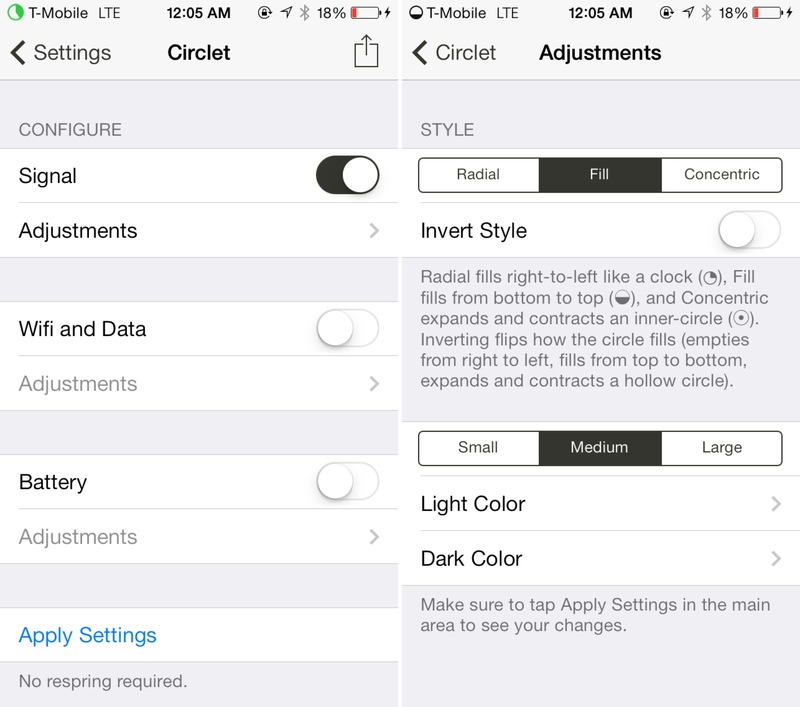 Circlet’s settings do a very good job of explaining what each option does and that find that to be refreshing. Hopefully more developers take note of this trend and stop stuffing tweaks with options just for the sake of having a bunch of options. Throwing a bunch of toggles inside of a tweak’s preferences? Then do us a favor and explain what each option does. 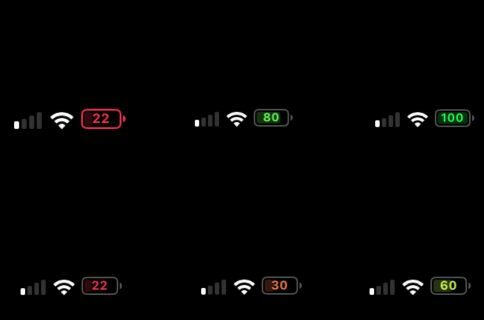 If you’re looking to simplify the look of your status bar indicators, then you should take Circlet for a spin once it arrives on Cydia in the very near future. 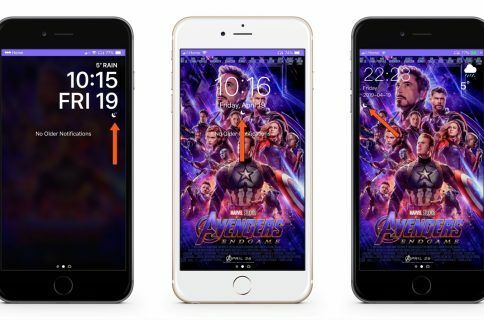 This is a tweak that’s been teased for quite some time, and I’m happy to say that it’s finally here, and it’s as good as I had hoped it would be.